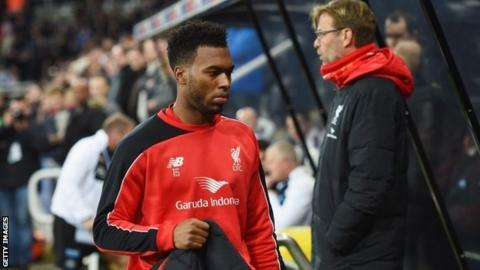 Liverpool striker Daniel Sturridge says he is ready to return from his latest hamstring injury. The England striker, 26, was not expected to be fit until mid-January after straining his muscle against Newcastle on 6 December. But after his side's 1-0 win over Leicester on Boxing Day, he tweeted: "Perfect gift for Christmas from the boys getting a win. "On a sidenote I'm back training and good to go!!"